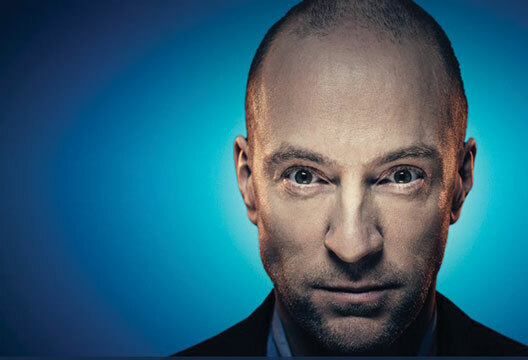 Has Derren Brown gone too far this time? A letter from Trainee Clinical Psychologist Matthew Wilkinson. As a trainee recently acquainted with the NHS ethics process, it was with increasing discomfort that I watched Derren Brown’s Channel 4 programme Pushed to the Edge. In this project (which was seemingly approved by a psychologist, listed in the credits as Claire Evans), the ‘psychological illusionist’ has planned a series of events in which a member of the public is manipulated to the point of murder. A quick disclaimer here: Brown typically doesn’t give viewers the full picture, but I am taking him at his word and assuming that the participants weren’t excellent actors. Brown begins by explaining that he used an Asch-style conformity test to identify suitably biddable participants. The programme then follows one individual – Chris – through a traumatic scenario at a charity auction. Brown uses the ‘foot-in-the door’ technique to get Chris to conform to a series of increasingly unethical demands: at first it’s sticking veggie flags in sausage rolls, then before long he’s relocating a corpse to stage a stairway fall. There is supposed to be a redeeming narrative (spoiler alert! ): Chris doesn’t do it. However, throughout the programme we see the anguish on Chris’s face. We also see that Chris does do many ethically dubious things. Brown may wish to claim that we could all be Chris under the right circumstances, yet he has chosen him precisely because he thinks he will be more likely than most to comply. Chris has a breaking point in his compliance. However, we see at the end of the programme that this experiment has been run with three other people, and that they all ended up pushing a man off the top of a building. While the producers had more sense than to follow their story, something about this feels very wrong. For a minute, these people thought they had killed someone. Presumably consent was obtained to use this footage (that is, consent has been obtained from notably compliant individuals). It is important to consider the long-term implications of such an experience. Friends, family and partners may initially laugh the whole thing off. Otherwise, they may reason that they would have done the same thing under the circumstances. But deep down, could this alter the way others perceive them? Could a partner look at them the same way, having seen such compliance and ‘weak’ moral character? These are speculative considerations, but not unreasonable. I have never been so struck by the disconnect between the ethical standards required by academic/healthcare institutions and those adhered to by TV producers. It is as if a 1960s ethics panel rose from the dead to give its assent to this project. Milgram and Zimbardo, eat your heart out! Might the footage of the agonised participants in Pushed to the Edge suggest that reality TV would benefit from more rigorous ethical oversight? Furthermore, a fundamental question in social psychology is highlighted: can you do research that is insightful yet moral?